Check out some of your favorite candy bars in this list, like Mound, Twix, and Mars. 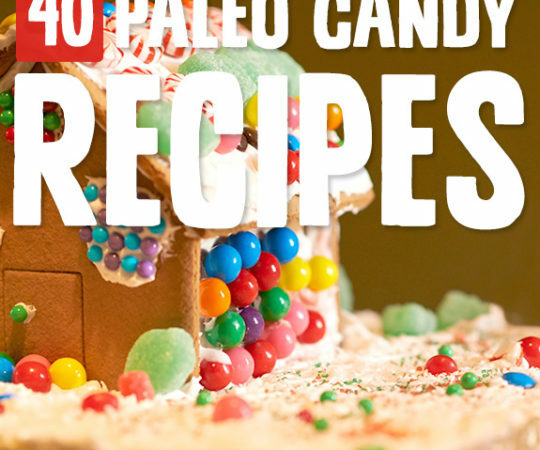 These paleo versions feature natural, unrefined sweeteners, dark chocolate, fruit, nuts, seeds, and other more nourishing alternatives. Still, I bet you can’t eat just one! Whatever you call them, you have to admit that once upon at time, you ate too many of these at ones. Sweet, chewy coconut and dark chocolate—how could you resist? This Mounds version is made with shredded coconut, coconut cream, honey, and a coconut oil chocolate cover. Mars bars are a popular candy bar consisting of a nougat layer topped with caramel and covered in chocolate. Sounds amazing, right? It is, but the sugar headache and stomachache afterward are not amazing! So try this paleo version with raw honey, raw cacao paste, maca powder, cashew butter, Medjool dates, and more. Need a version that doesn’t use sugar at all, even unrefined? Give this recipe a try. 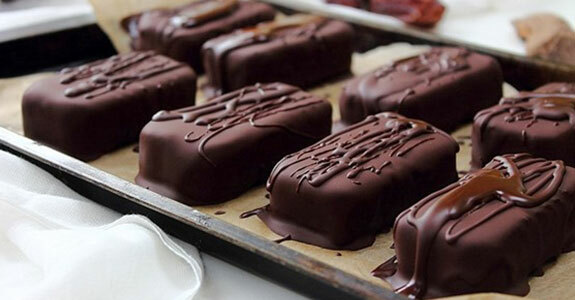 Instead of honey or other sweeteners, you’ll use stevia to sweeten the coconut filling as well as the chocolate coating. If you’re using coconut cream instead of coconut milk, you don’t even need the gum. 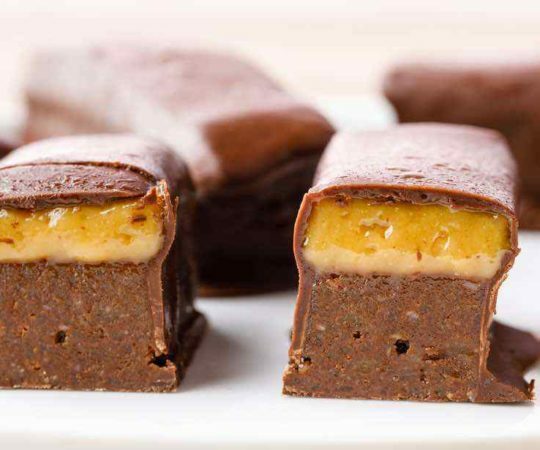 These bars are a great alternative for all those peanut buttery candy bars you can’t eat anymore. Coconut cream, cinnamon, coconut flour, almond flour, and coconut sugar make a tasty base, while chocolate chunks and coconut cream make a silky chocolate topping. 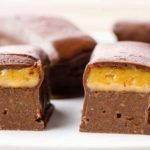 This Bounty Bar version is quite a bit different, and it uses coconut flour as the inner base and coconut palm sugar to sweeten. There are two options for the chocolate coating, depending on your dietary preferences and whether you’re up for making your own coating. 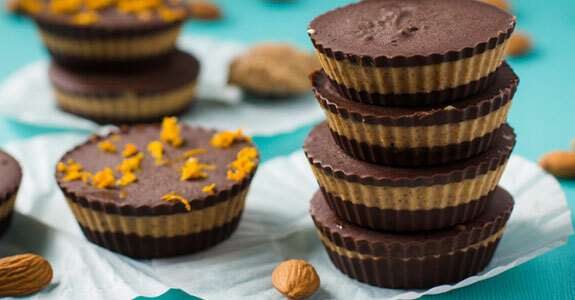 Reese’s Peanut Butter Cups were another candy I loved as a kid, but peanuts aren’t paleo friendly, and neither is all that sugar and other junk! This version uses almond butter and a dark chocolate of your choice for a similar treat you can feel good about sharing. This recipe is totally sweetener-free, and it’s still an amazing treat that will tide you over if it’s going to be awhile before dinner. Because it’s just healthy fat and protein-rich nut butter, this is a “dessert” you don’t have to feel guilty about indulging on! These white chocolate cups are one of my favorite easy treats. Made with cocoa butter, coconut butter, freeze dried strawberries, vanilla, and maple syrup, these little cups are naturally sweet oh so tasty. You could also make them with any freeze-dried fruit you like best. This healthier version of Almond Joy bars uses a delicious coconut paste filled with coconut oil, honey, and slivered almonds. Spread it over chocolate squares and freeze until firm. It’s that easy! I bet this bark would be lovely to share at holiday parties like Christmas. 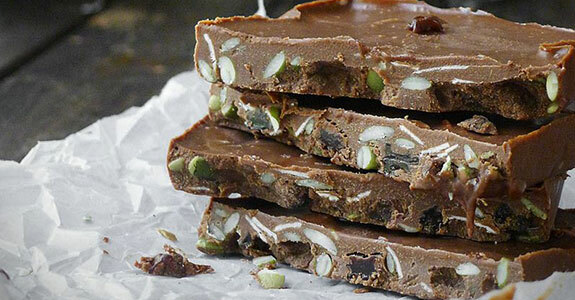 While not a copycat of a non-paleo candybar, these awesome chocolate bars feature creamy homemade chocolate, raw honey, pumpkin seeds, coconut flakes, raisins, sunflower seed butter, and coconut oil. If you’re feeling adventurous, try replacing the raisins with your favorite dried fruit. As a kid, Twix bars were my favorite. Sweet milk chocolate, crunchy cookie, and silky caramel? Yup. 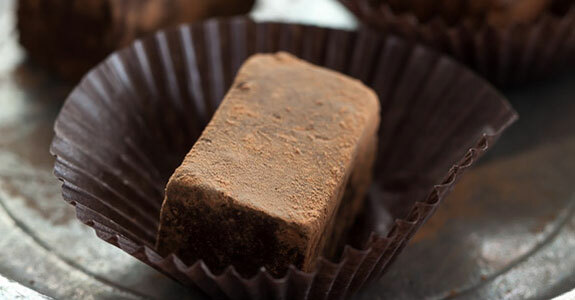 But this paleo version is even better with a dark chocolate and cacao butter coating, almond flour and arrowroot cookies, and a delicious caramel. 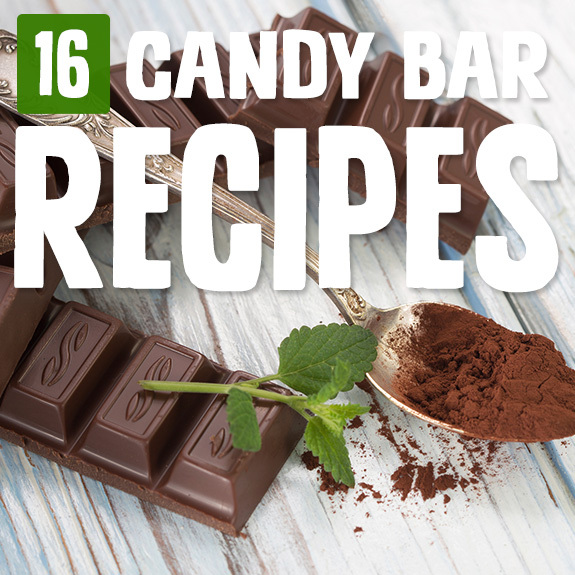 These easy candy bars feature a caramel center made from cashews, pecans, almonds, medjool dates, almond milk, maple syrup, lucuma, vanilla bean powder, and sea salt. Coat them with a delicious homemade chocolate coating that’s naturally-sweetened, your way! 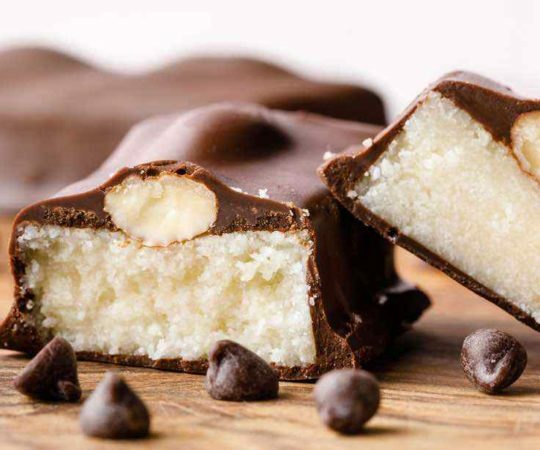 This candy is made from coconut butter, coconut oil, macadamia nuts, chocolate chips, and vanilla extract. It’s naturally creamy with a lovely flavor that doesn’t need any sweetening. This is the perfect sugar-free treat! These truffle squares are infused with tea and raspberry or blackcurrant liqueur. They’re elegant and tasty, and I bet you could use any liqueur you’d like! I think I’ll try a batch with my dad’s strawberry liqueur and some green tea. A winning combination! 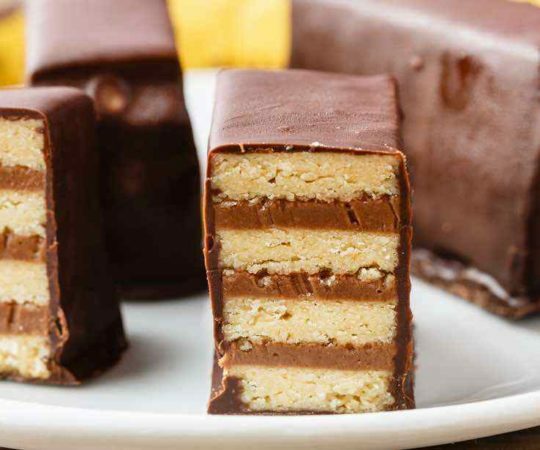 I’m including a second Twix recipe because this one has a simpler ingredient profile. For the shortbread layer, you’ll just need macadamia nuts, maple syrup, vanilla, and sea salt. Easy! Top with a Medjool date and sunbutter “caramel” and cover with chocolate. For a more adult-style treat, try these gently-sweetened white chocolate almond butter cups garnished with lavender flowers, hibiscus, or other beautiful toppings. I would try mine with crushed pistachios. Yummy!